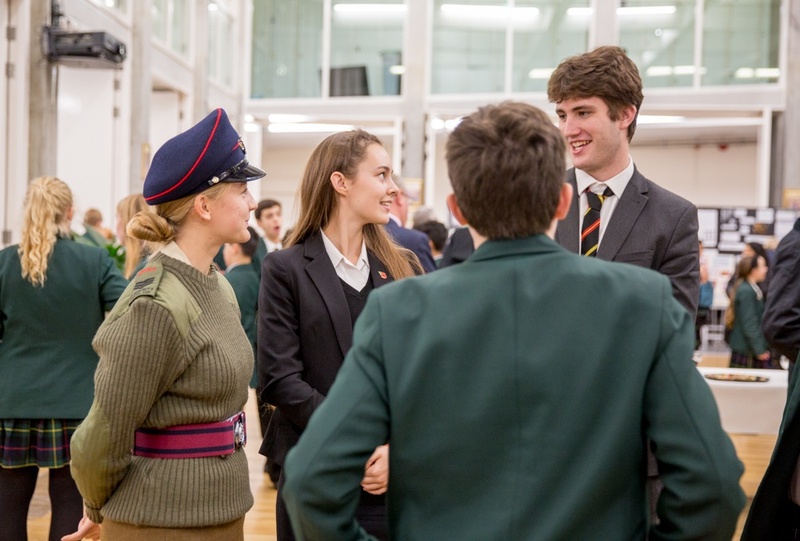 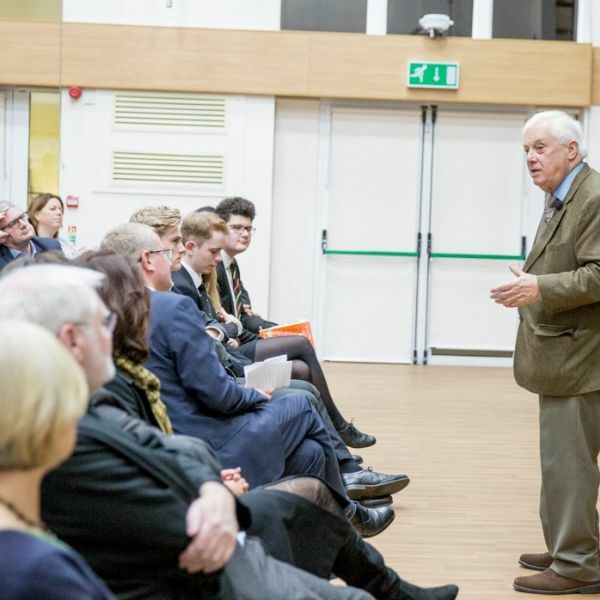 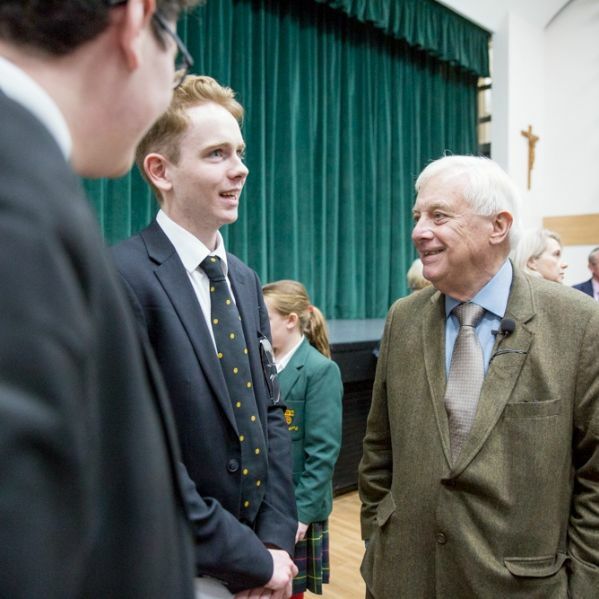 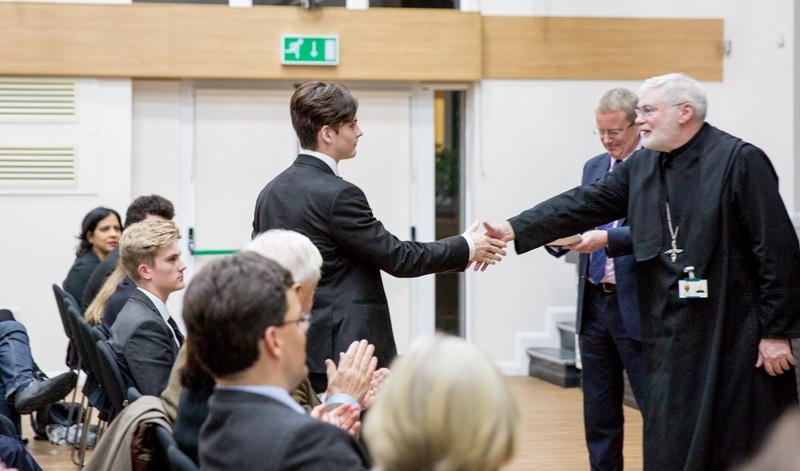 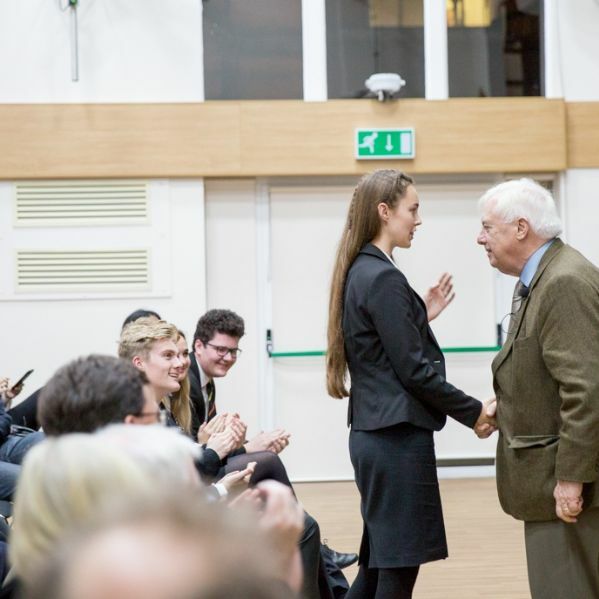 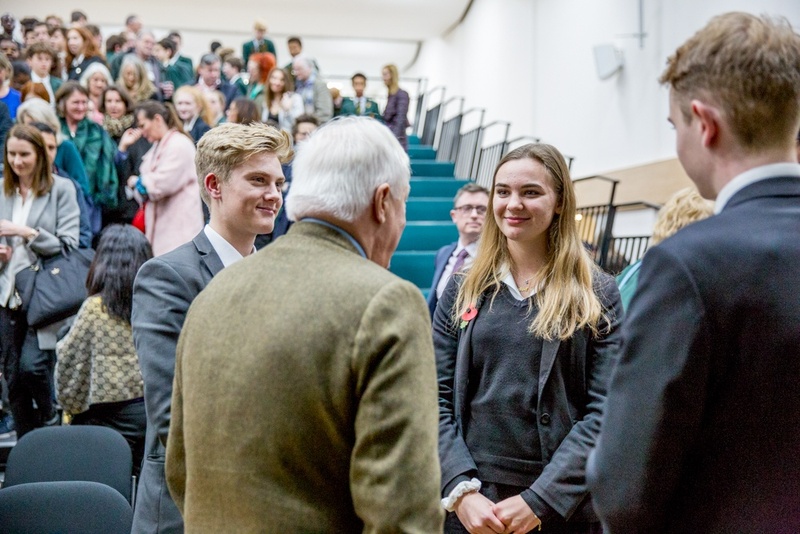 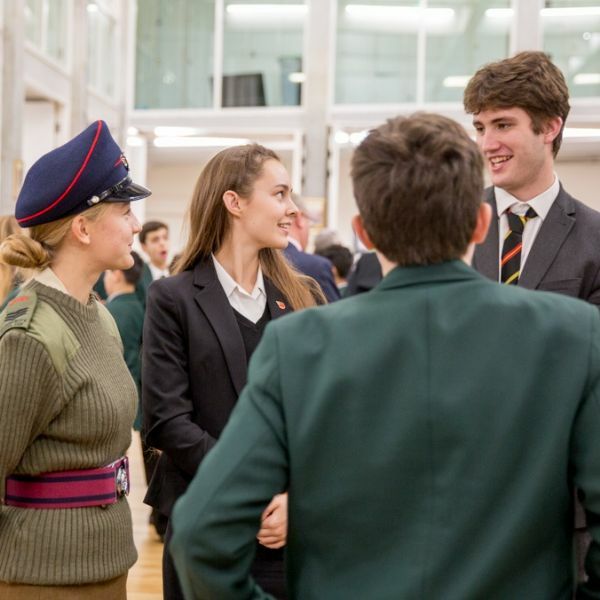 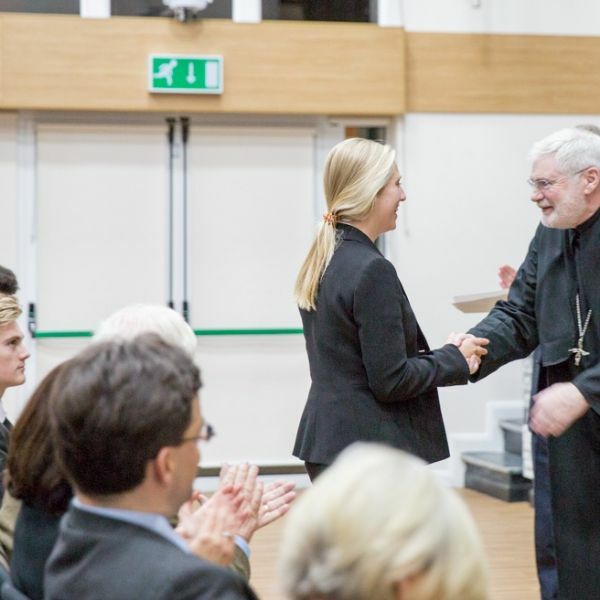 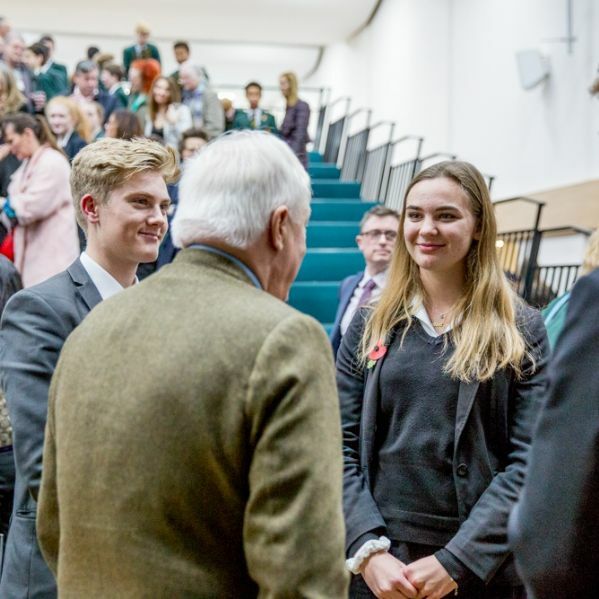 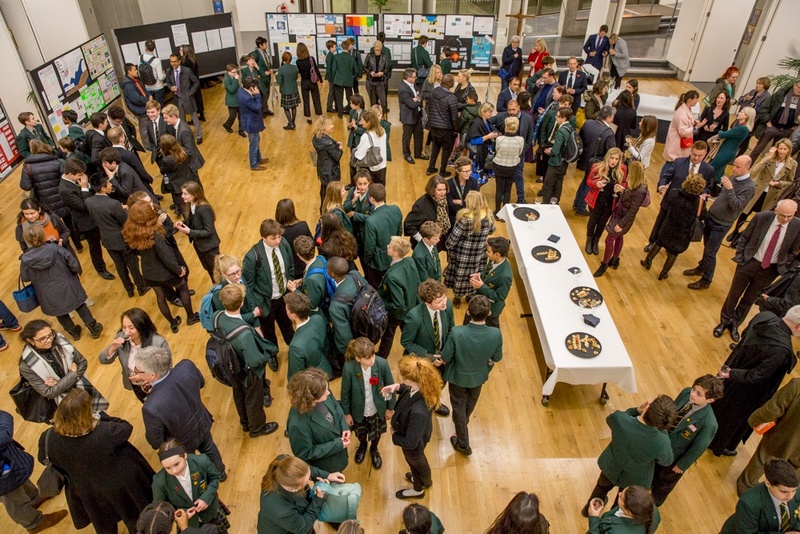 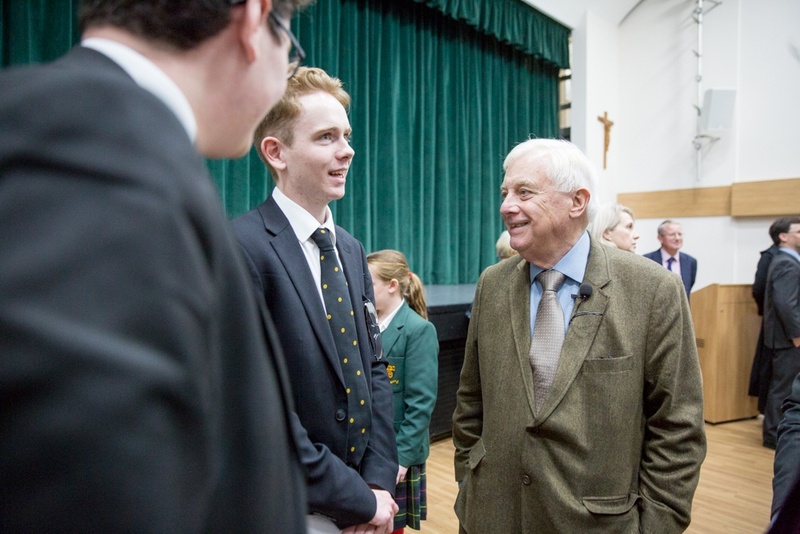 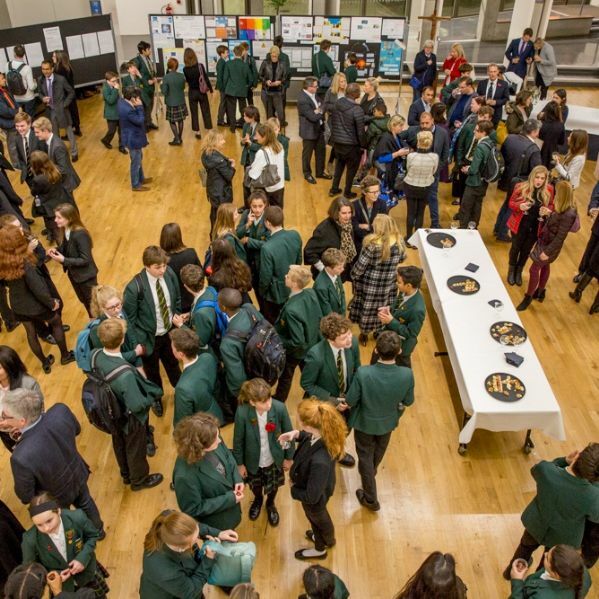 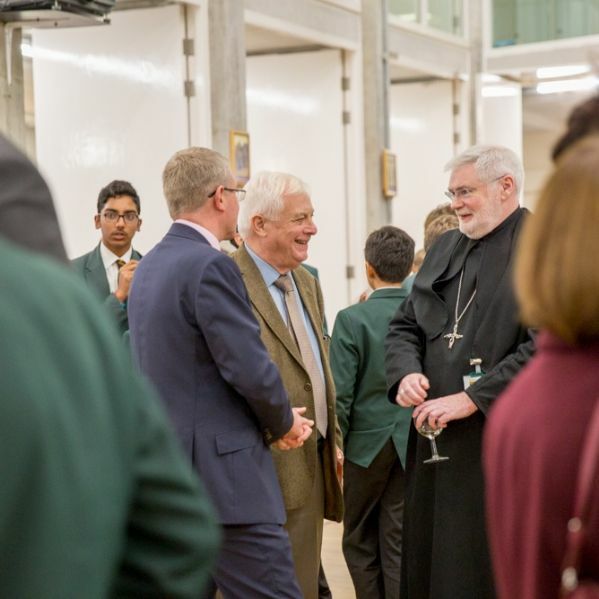 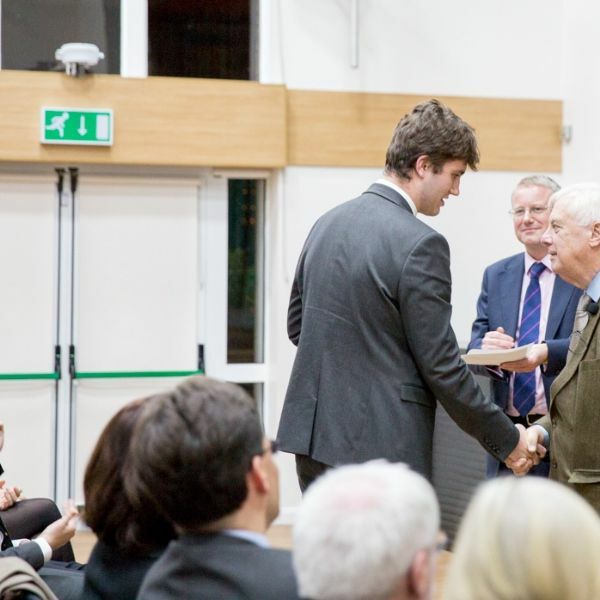 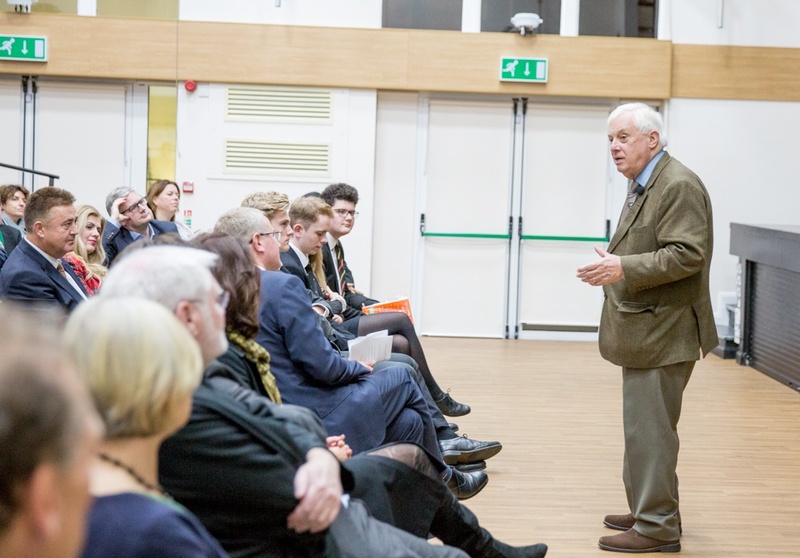 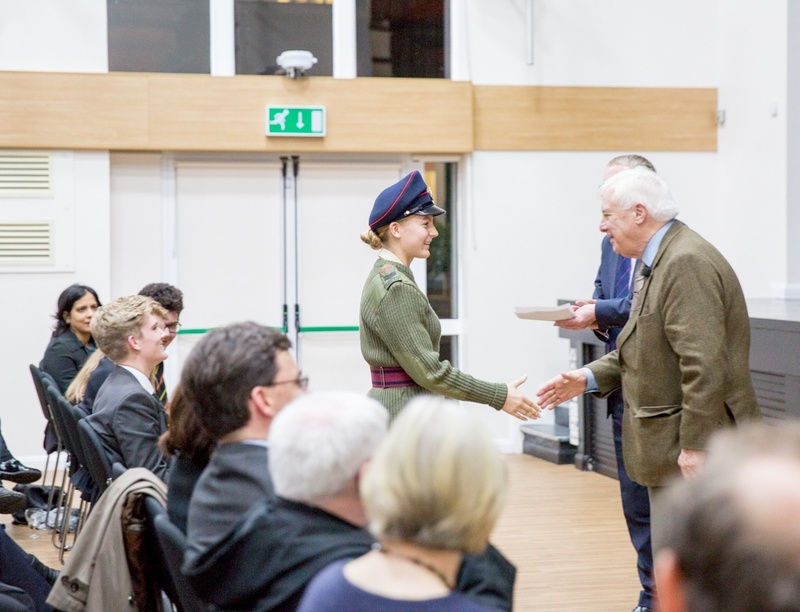 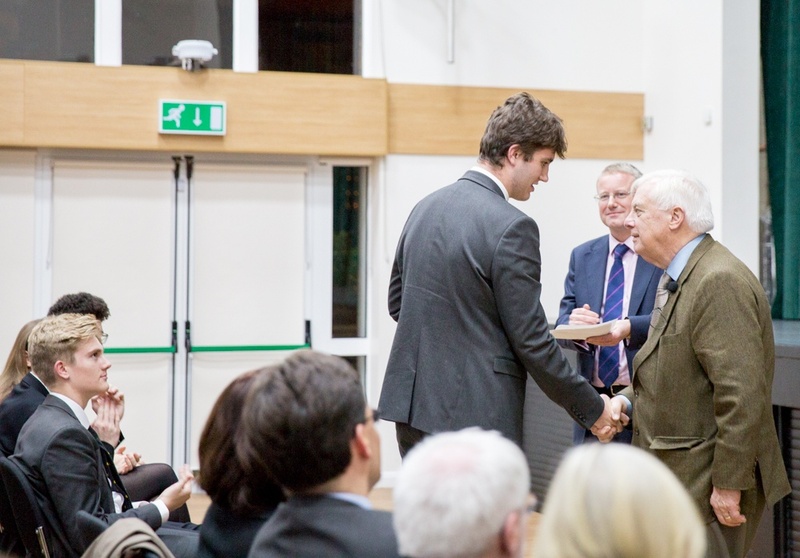 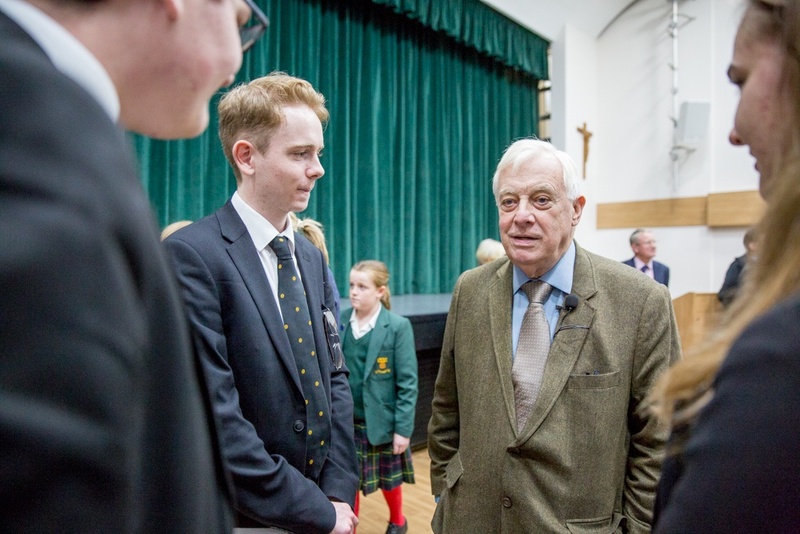 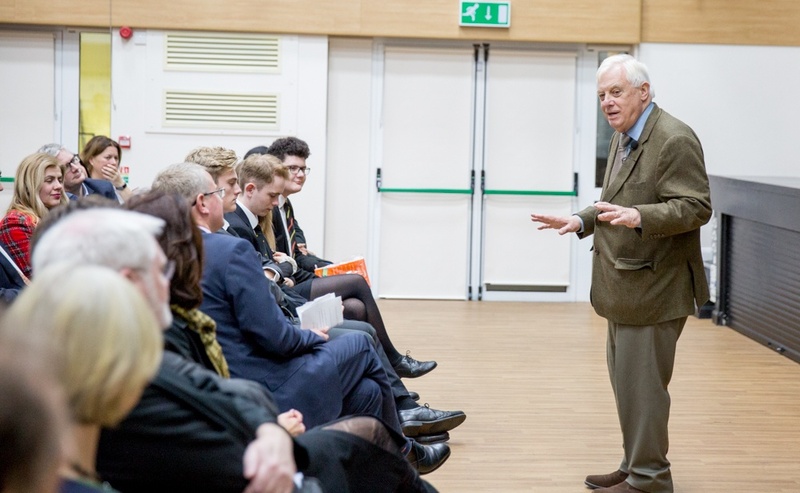 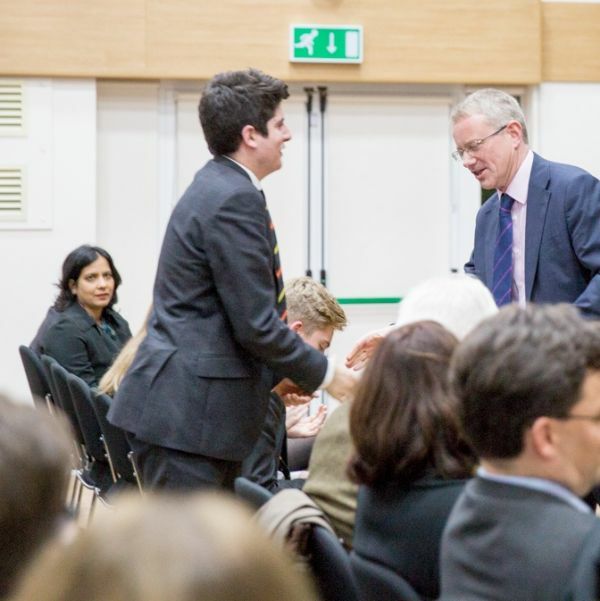 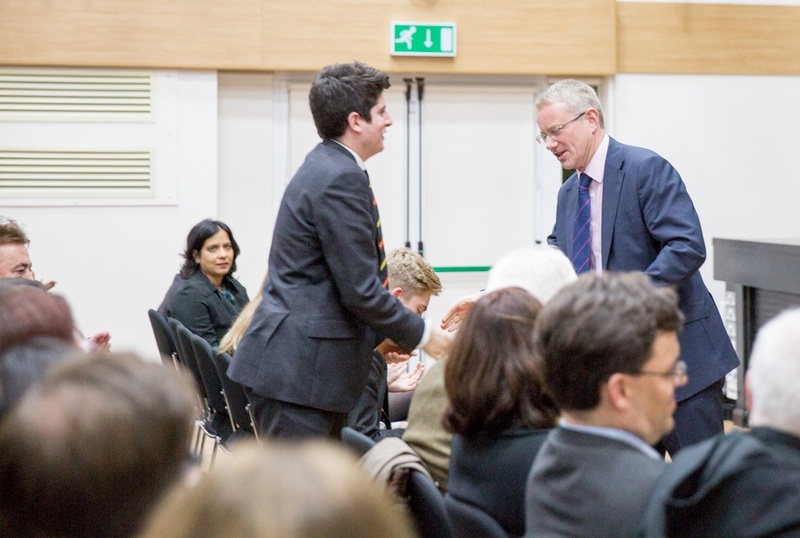 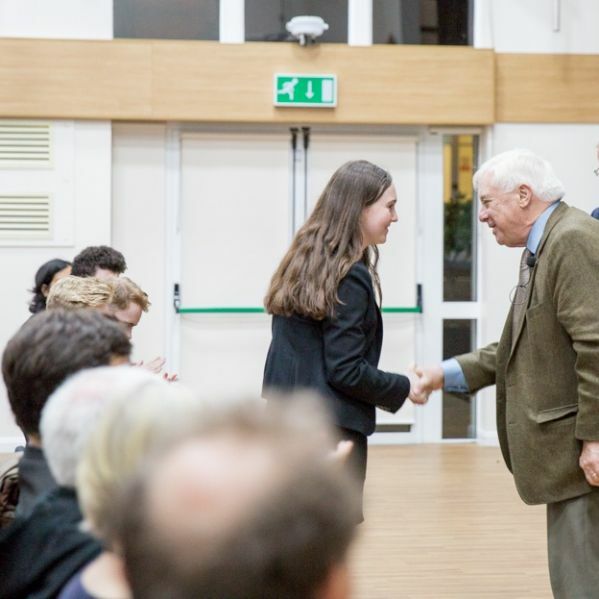 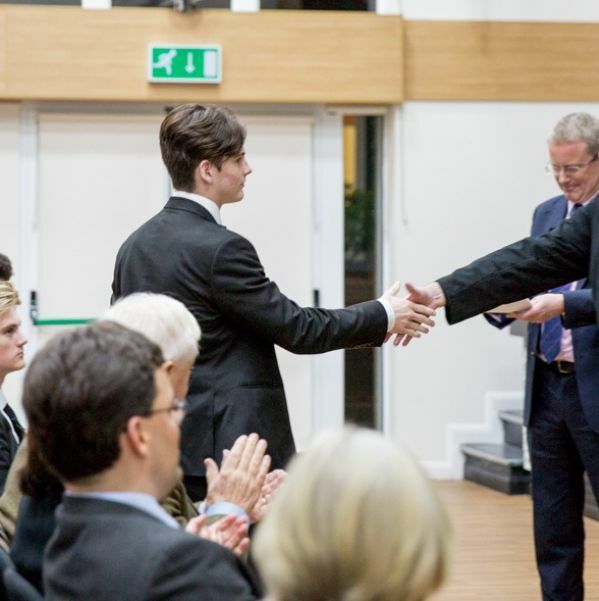 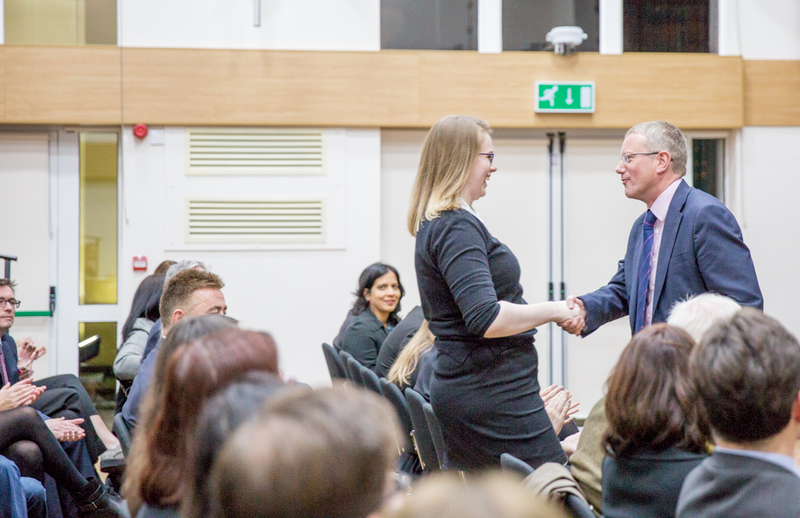 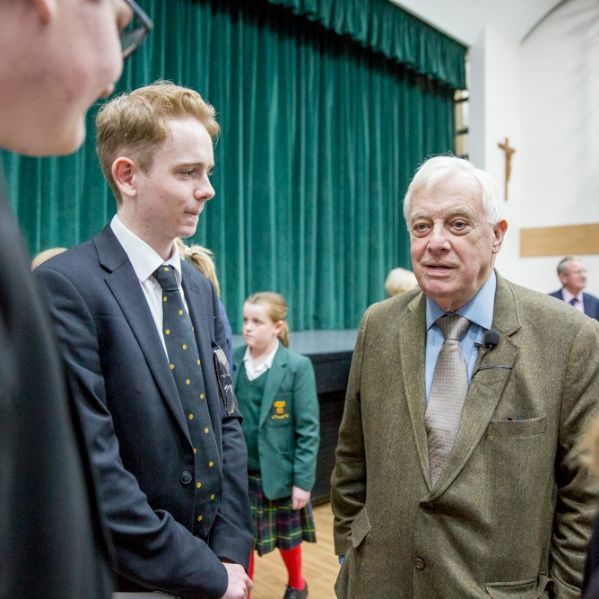 Lord Patten attends the Sixth Form Scholars’ Evening each year. 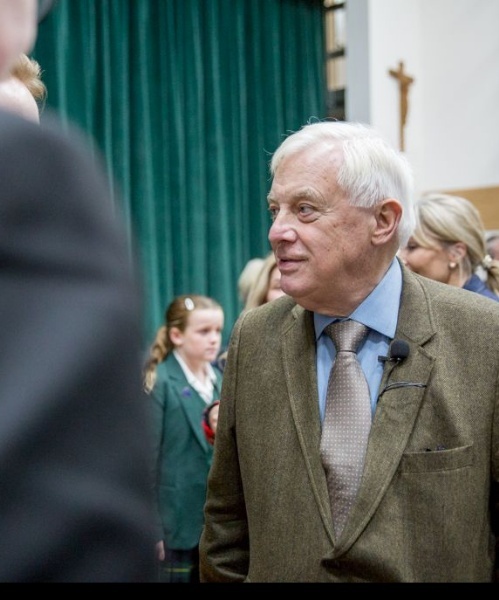 Chancellor of Oxford University and a Crossbench member of the House of Lords, Chris Patten was the last British Governor of Hong Kong and a Conservative politician until 2011. 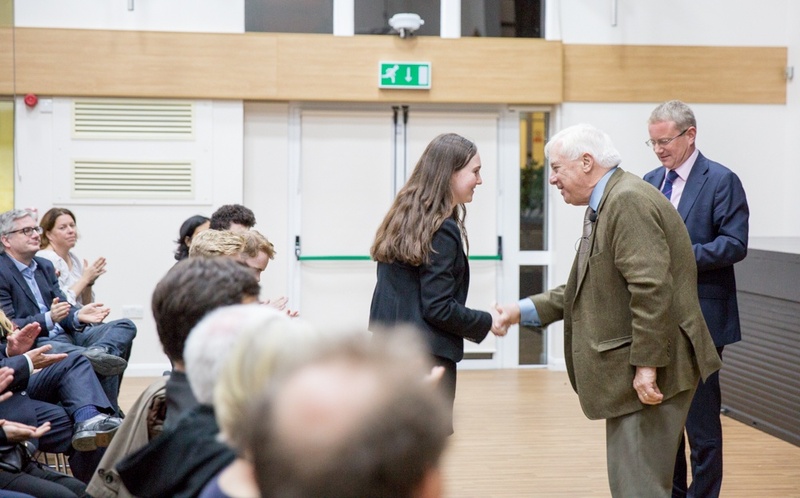 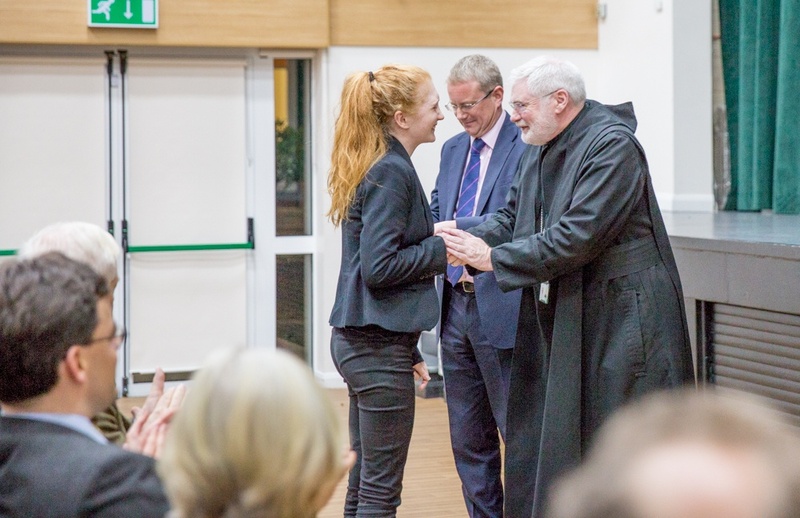 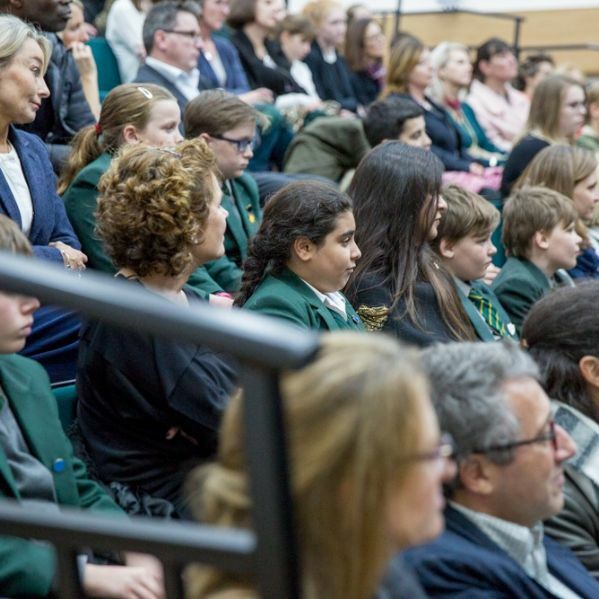 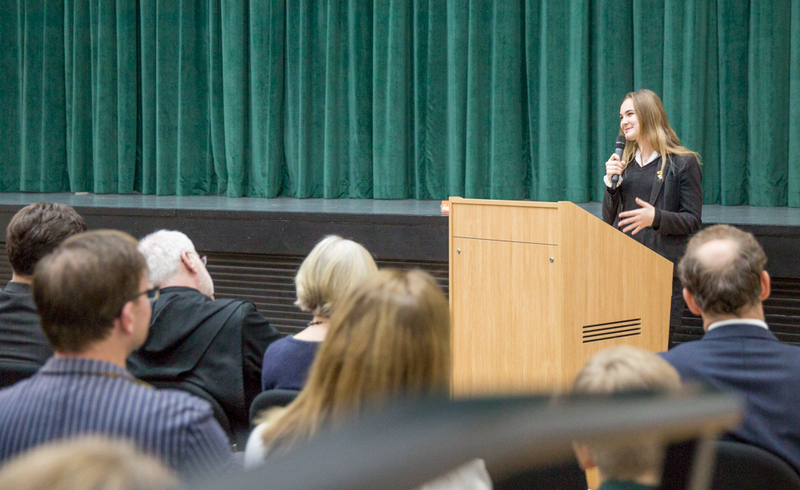 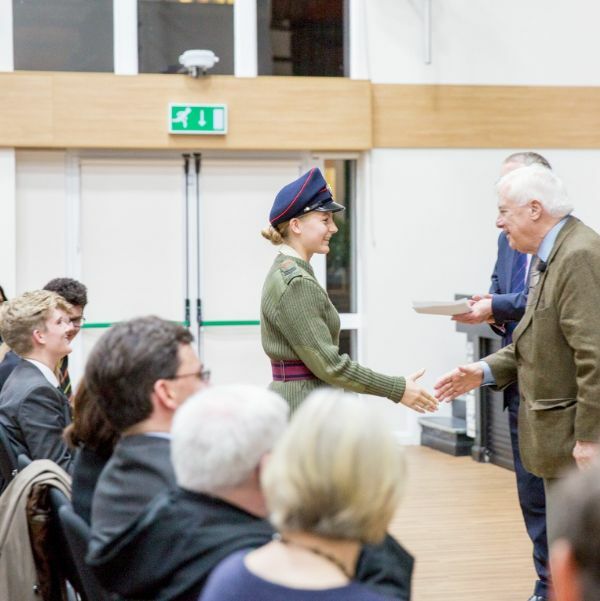 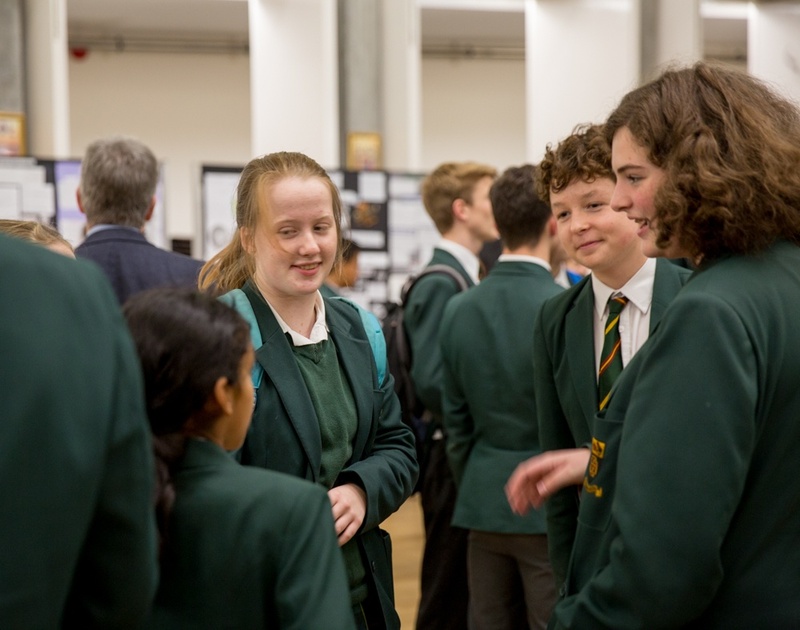 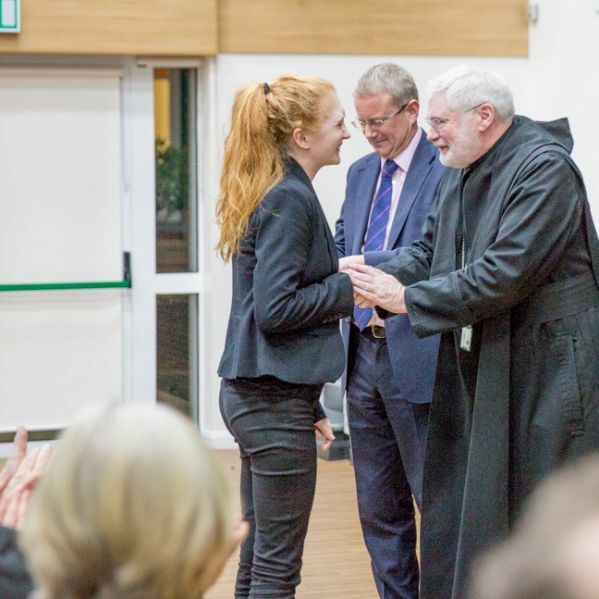 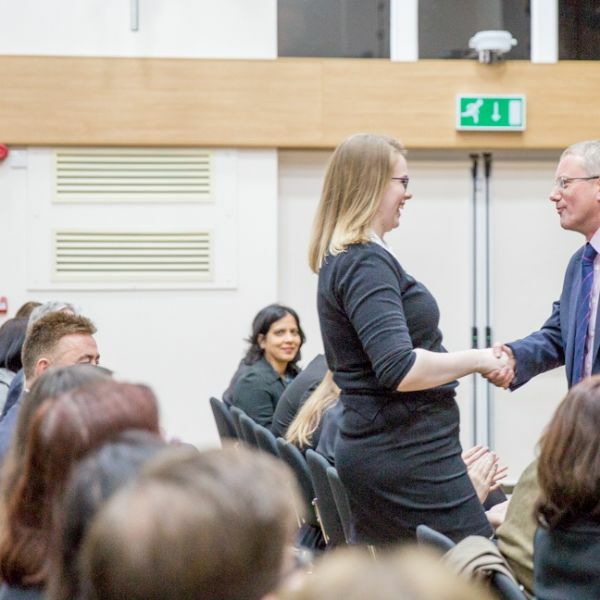 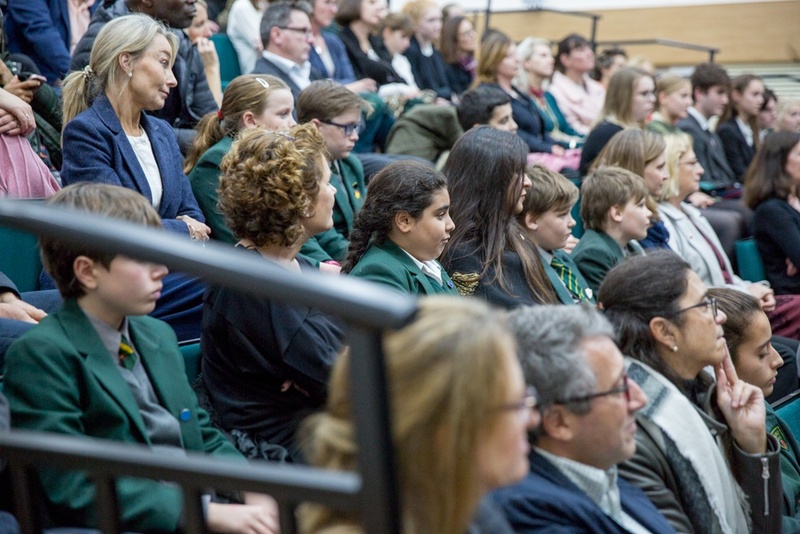 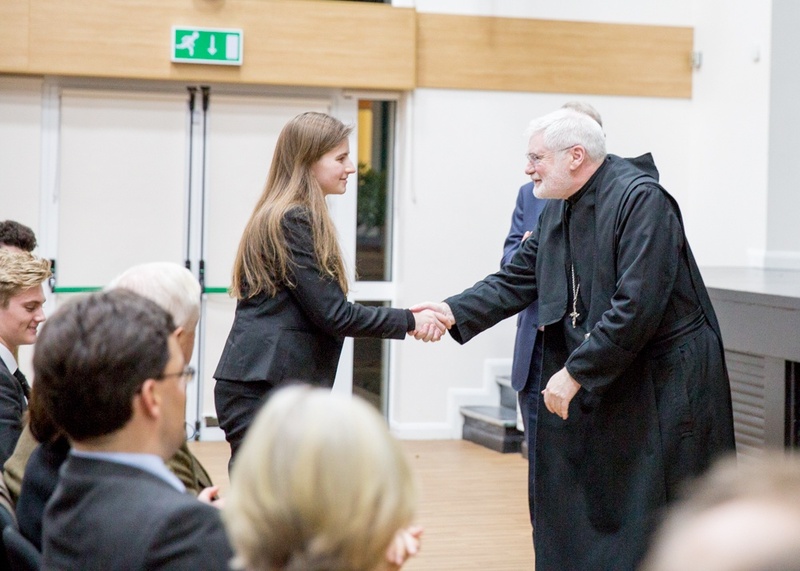 The evening was attended by parents and St Benedict’s scholars aged 11 upwards; it began with four Patten Scholars in their final year talking about how they had used their awards to develop their academic interests. 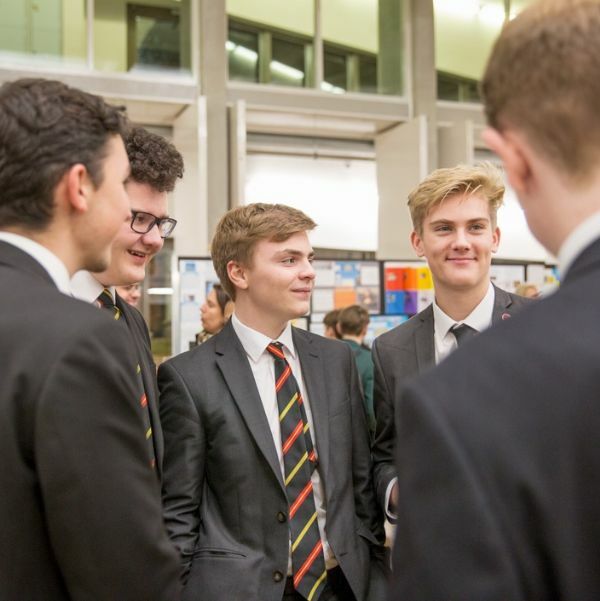 Eddie Bannister had attended a three-day Astrophysics course at Royal Holloway College, which had included low-temperature physics, parallax astronomy and an introduction to LIGO centres (Laser Interferometer Gravitational-Wave Observatory). 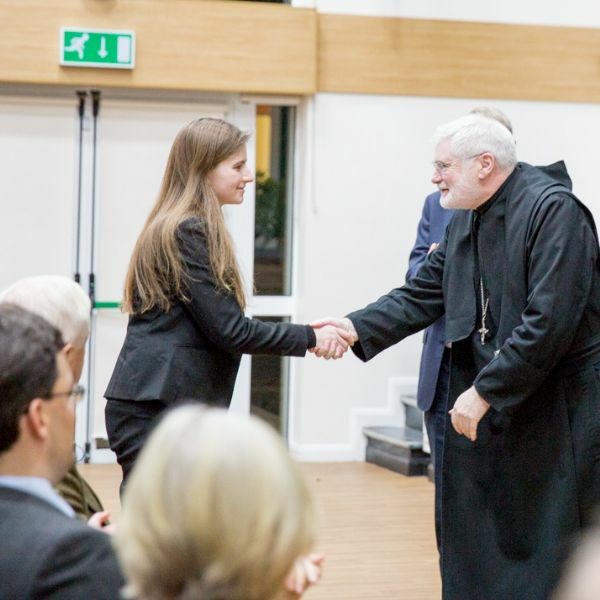 Paulina Sienniak, who wants to read Classical Archaeology and Ancient History at university, attended a course at UCL on the Greco-Roman period of ancient Egypt, and an ancient Greek course at Durham University. 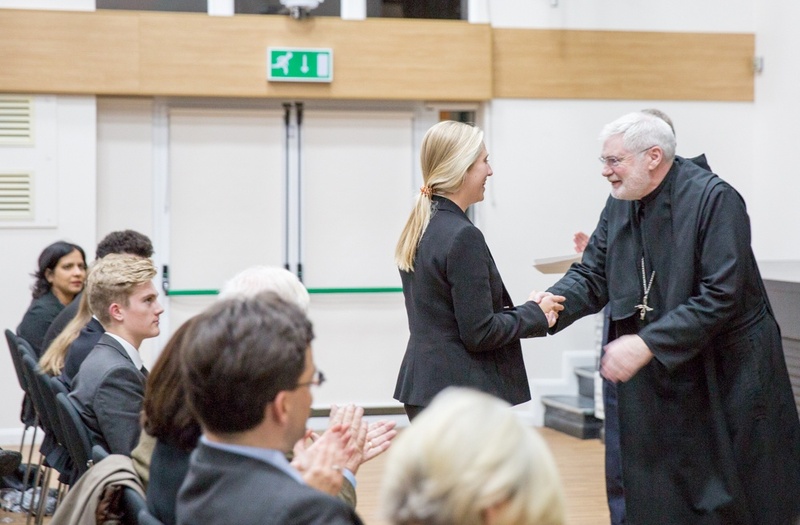 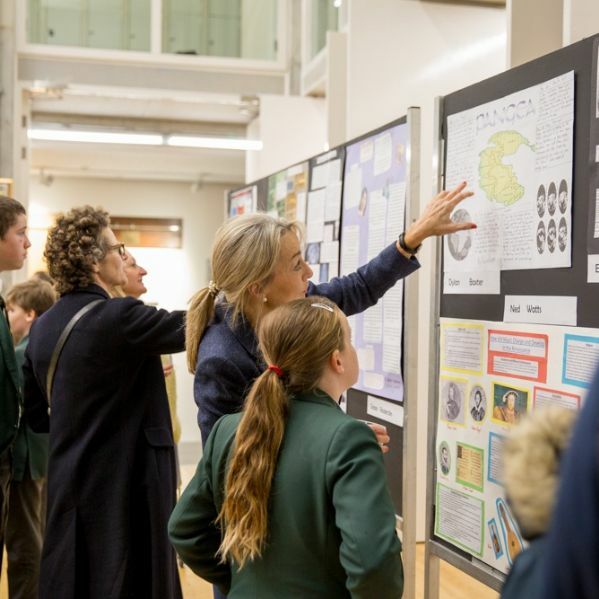 At St Benedict’s, she has given a presentation entitled Archaeology: a destructive or preservative force? 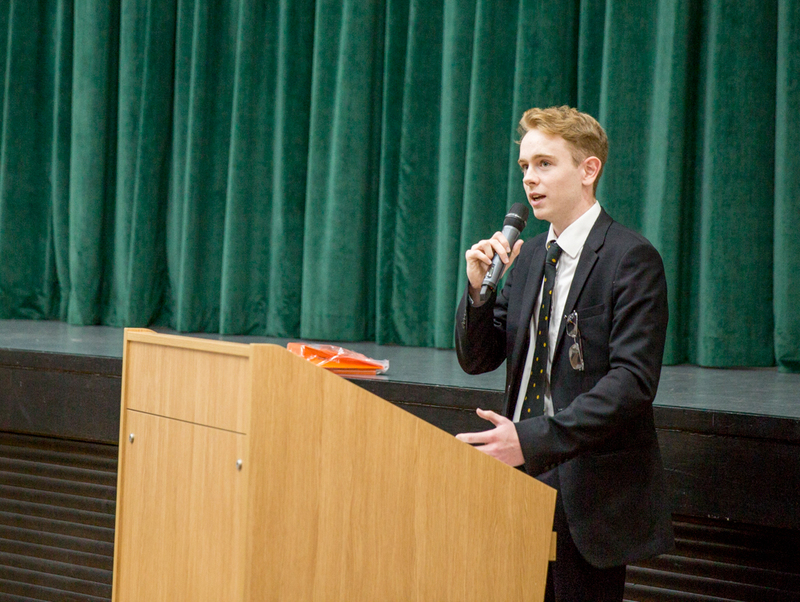 Conor Moon visited Austria and Germany in the summer, a trip which neatly combined all three of his A levels – German, History and Music. 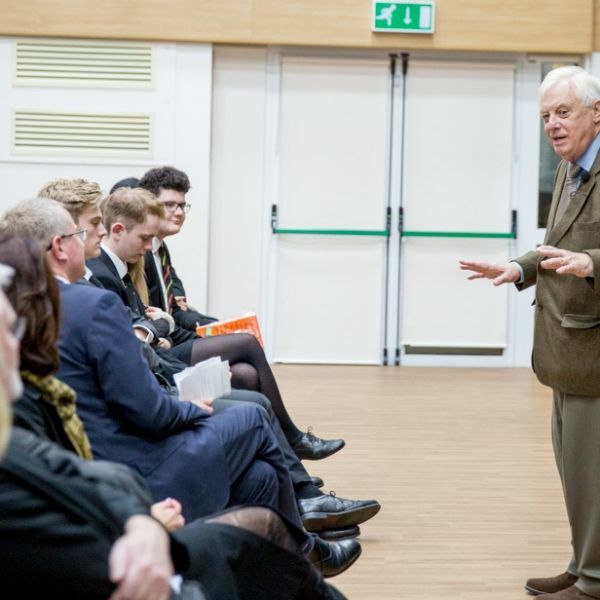 A mixed itinerary included a Mozart concert in Salzburg, a closely controlled visit to Hitler’s Eagle’s Nest, and Dachau Concentration Camp. 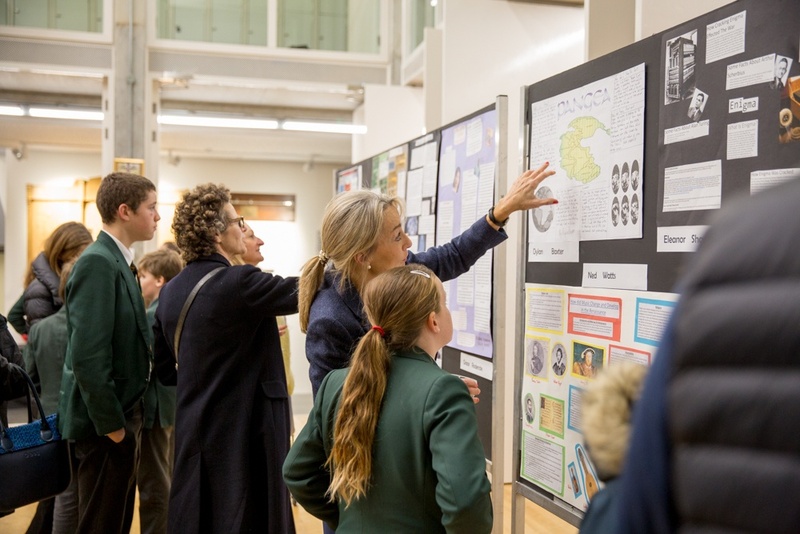 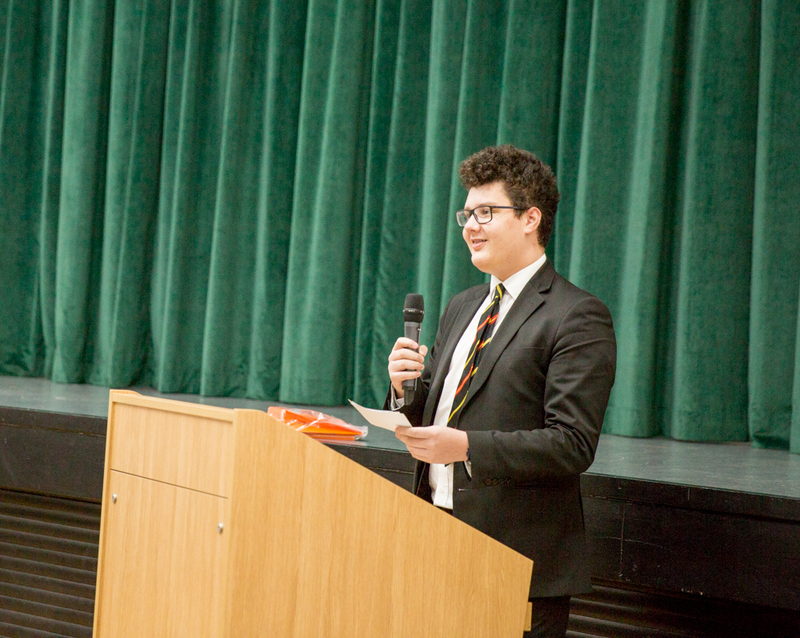 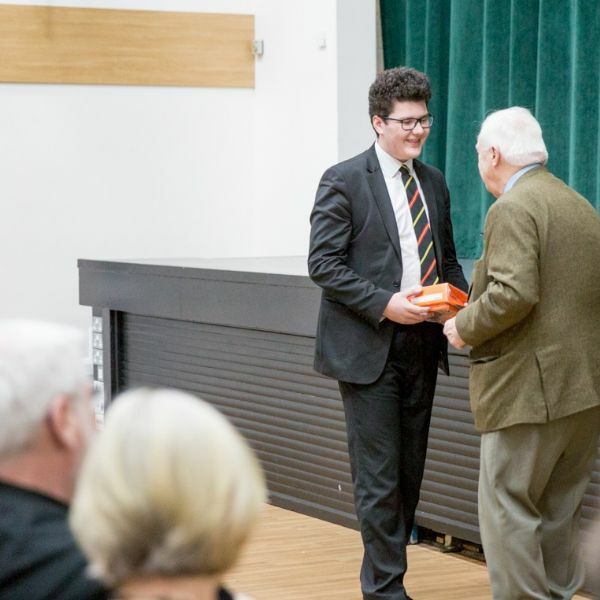 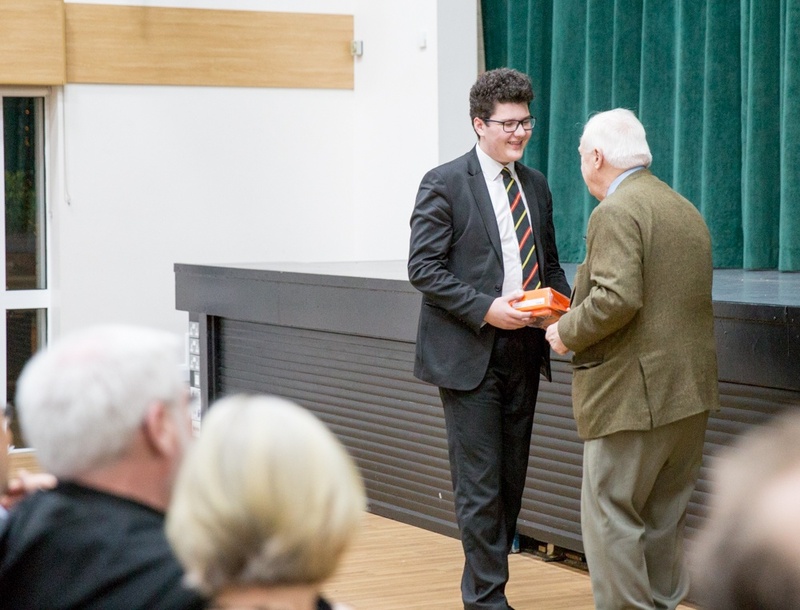 Max Lubowiecki (who has been a pupil at St Benedict’s since he was three years old) talked about his enthusiasm for mathematics, and the logical, structured steps that absolutely prove a conjecture. 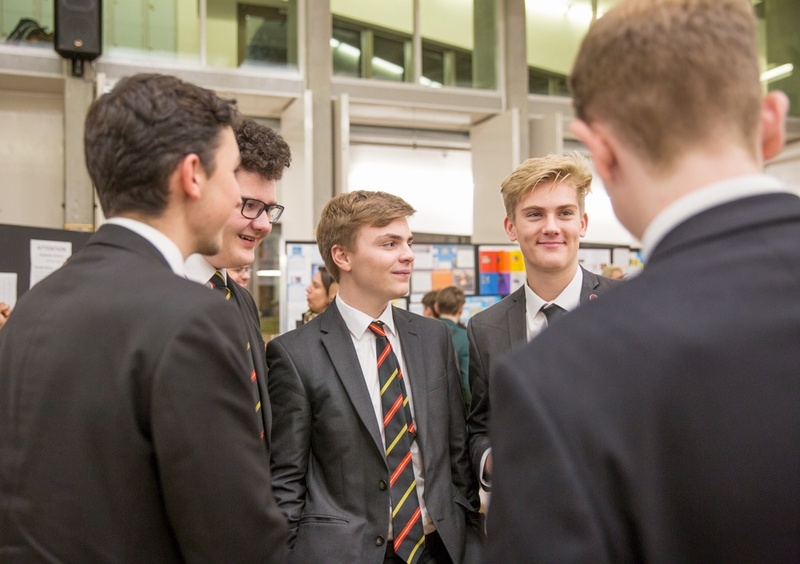 He had attended a two week course at UCL, looking at the Riemann zeta hypothesis (which had been the subject of his EPQ). 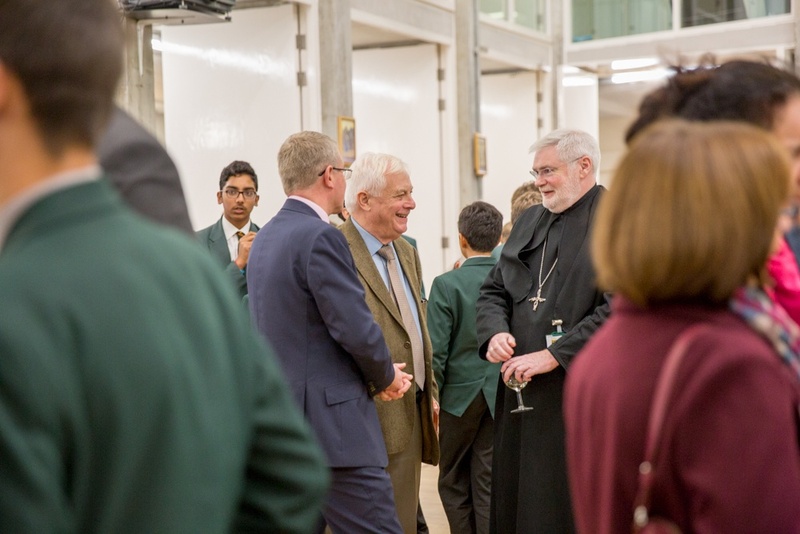 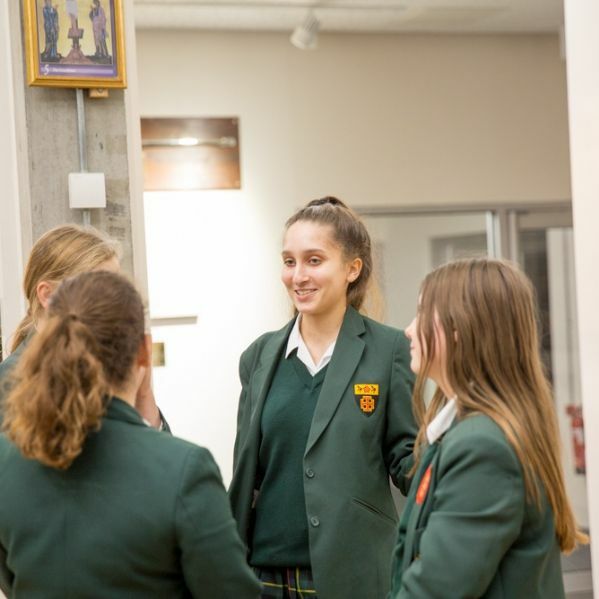 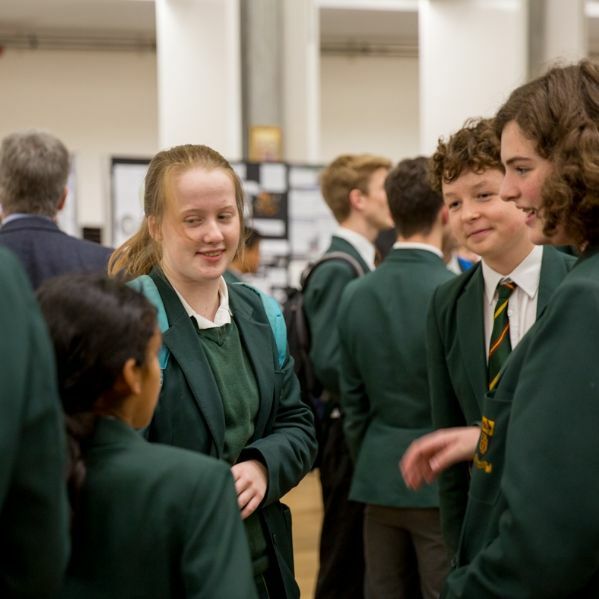 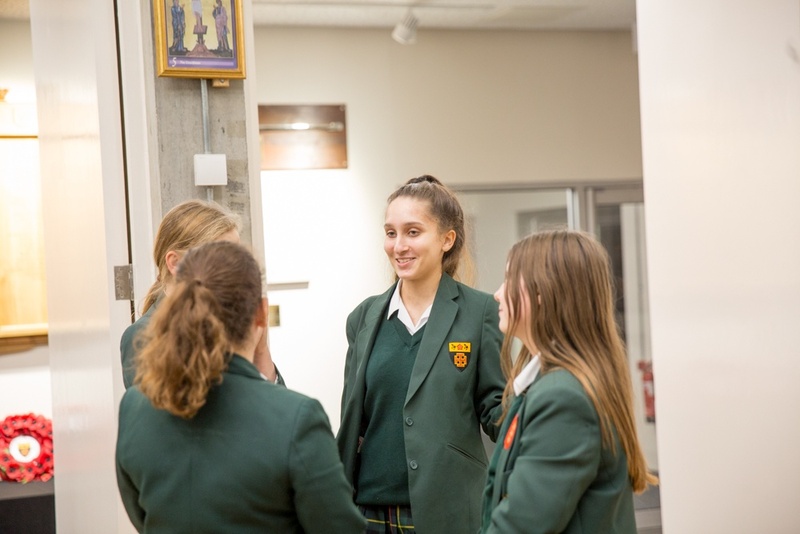 All four described how St Benedict’s had encouraged them to read widely, be intellectually curious and open to learning about all manner of things - from marine biology to music. 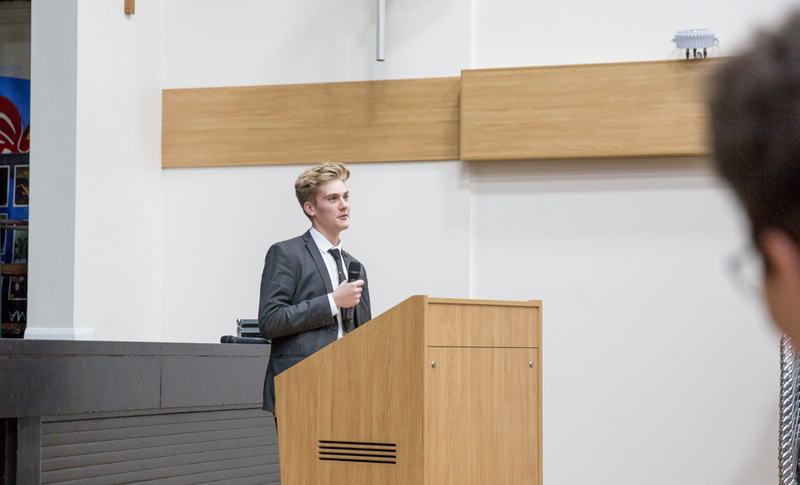 They also spoke about the Trethowan Society’s weekly meetings, which offer many additional opportunities for debate and academic exploration. 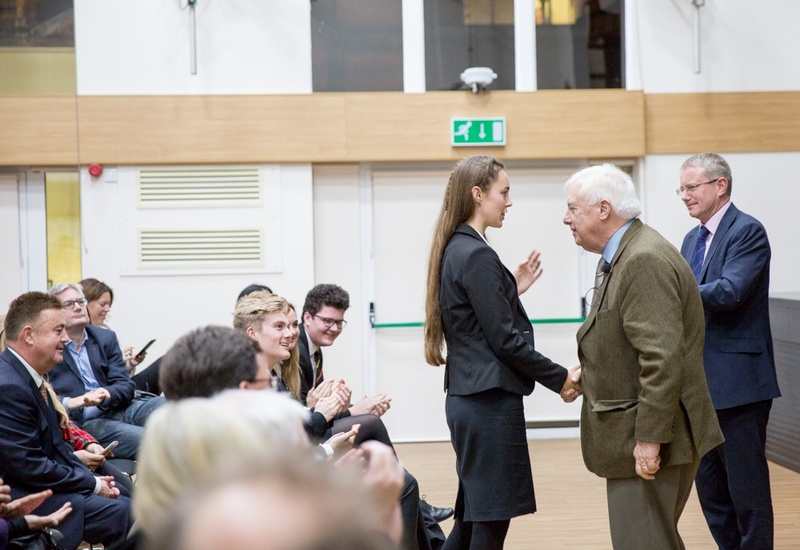 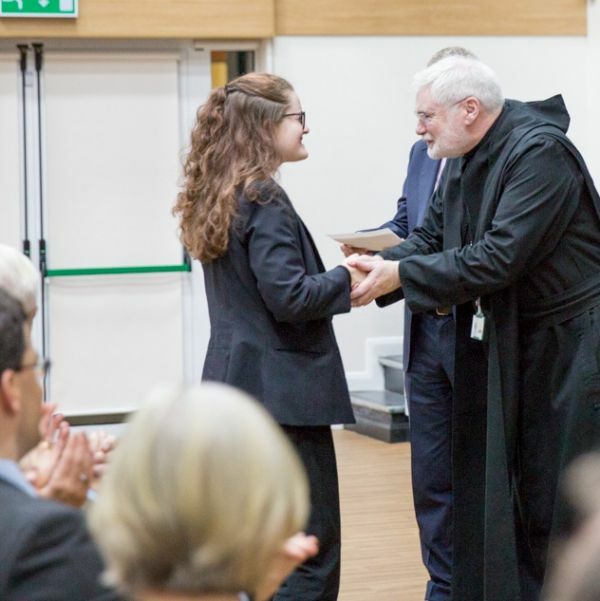 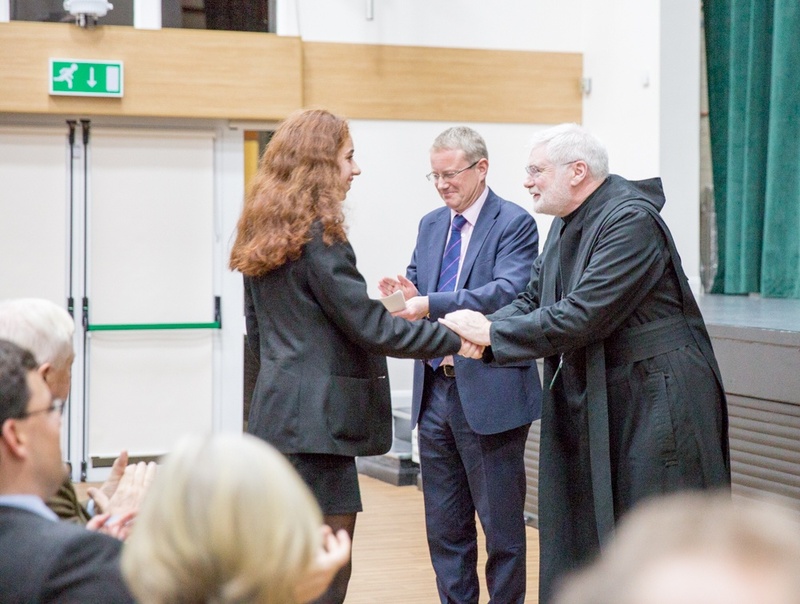 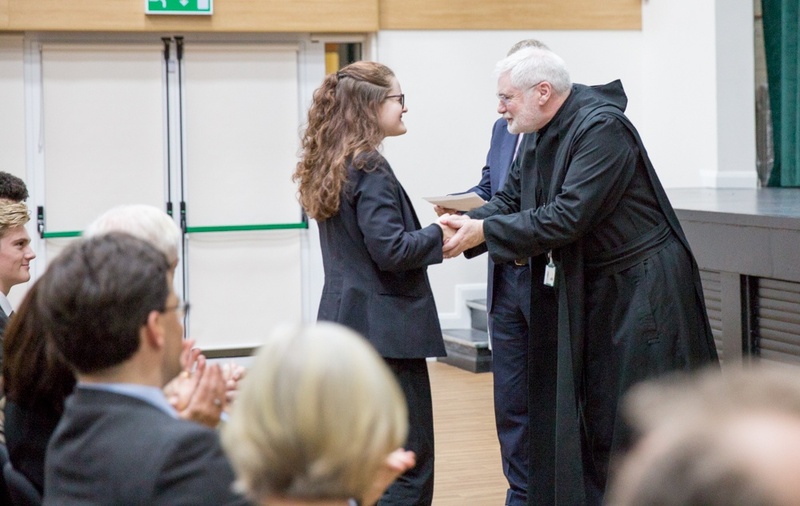 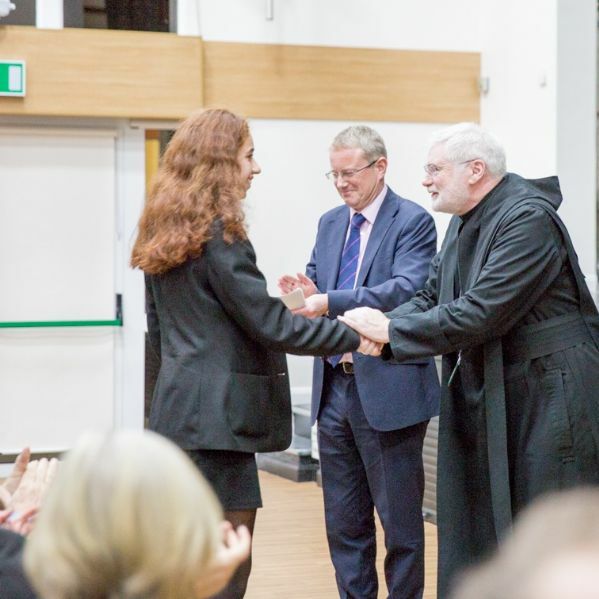 The new Lower 6th academic scholars were presented with their awards by Lord Patten, Abbot Martin Shipperlee and the Headmaster, Mr Johnson.